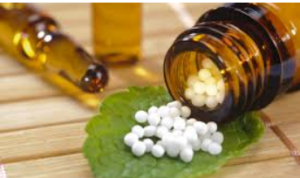 King Review: Homeopathy shouldn’t be sold in PBS-approved pharmacies: FSM’s Ian Carr has welcomed King Review recommendations on homeopathy .The interim report of the Review of Pharmacy Remuneration and Regulation states that “there are unacceptable risks where community pharmacies are allowed to sell homeopathic products”. Monash University SPHPM “Whack-a-mole” project 2017: This project’s aim is to provide students with practical experience of the role of regulators in protecting the public from false and misleading therapeutic claims by product sponsors and health practitioners. Why “Whack-a-mole”? Because, given deficiencies in the current regulatory system, no sooner does one miscreant get “whacked” than another (or the same one) pops up! Controversial author banned from lecturing at Adelaide Universities: Lectures from nutrition writer Christine Cronau, author of ‘Bring Back The Fat 2017’, has moved to a venue at Hallett Cove after protests against planned appearances at the University of Adelaide and the University of South Australia. Prof Alastair MacLennan is interviewed. Fun with Spanish Flu Myths: It’s amazing. Every proponent of complementary/alternative medicine has their own pet theory explaining the great influenza pandemic of 1918-19. Most involve vaccination as the cause, some blame aspirin; but one unifying principle shines through all the murky unsubstantiated assertions: each specialty– be it homeopathy, osteopathy, chiropractic or naturopathy– proved to be the only truly effective means of treating the flu and made all the conventional doctors look like bungling idiots. Back To Life: Deep Brain Stimulation: Parkinson’s disease can be managed with electrodes. Murdoch University backflips on decision to host controversial ‘nutrition adviser’: Universities in Adelaide and Perth have cancelled Christine Cronau’s appearances after campaigning by the universities’ students and community. FSM campaigns for evidence based medicine to be supported by universities. The previously questionable decision by the various universities to allow sham medical advice to be promoted has been reversed. “ABORTIFACIENTS”: An abortifacient is substance that can induce an abortion. Oxytocin for example, can be used for this purpose. Clearly abortion is a topic that causes controversy and emotional responses in some circles. However, using a contraceptive is NOT an abortion. An IUD is not an abortifacient. Contraceptives do not contain abortifacients. An abortifacient terminates an ongoing pregnancy, but getting one’s period is not a miscarriage. This may have seemed like a rather obvious point, but apparently we needed the New England Journal of Medicine to tell us. This is because new appointees to Health and Human Services (USA) have a penchant for “alternative facts”, and using abortion related to terms to make things sound scary is one of their tactics. Antibiotics 1928-2000: The Discovery of Antibiotics. Imagine a world in which even commonplace and “simple” surgical operations carried a high risk of death from later infection and where 80% of staph wound infections were fatal. Antibiotic resistance is a serious and important problem quite simply because of how phenomenally useful and life-saving antibiotics are. Two in five pregnant women don’t receive care in the first trimester: “Researchers said teenagers, unmarried women, smokers and migrants were among those least likely to receive a comprehensive assessment from a doctor in the first 14 weeks of their pregnancy.